Motorola now planning Android tablet too? 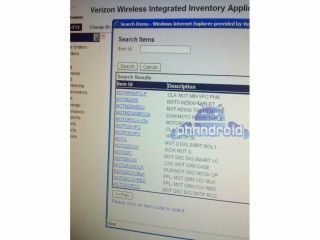 Motorola looks like it wants to join the Android tablet party, as it has its own device showing up in inventory lists. Over in the US, Verizon is listing three sets of such a device under the heading of the 'Motorola MZ600 tablet'. However, they're all for the same tablet, just dummy and demo models as well as the real thing, before you all start getting TOO excited. Given the timing of this announcement, the tablet would likely land later this year, or possibly at the beginning of next, meaning it could be packing Google's new Gingerbread 3.0 Android OS. Google has already stated that it wants to optimise the experience on the Android platform for larger-form devices, calling the current options that have access to Android Market 'large phones'. Whether Motorola brings out a Galaxy Tab competitor, complete with Froyo and full voice capabilities or something a bit more substantial and powerful with the next gen OS, will likely depend on whether Google starts giving more detail on its tablet OS plans.